Although it is one of the of the most technologically-rich industries on the planet, the healthcare industry still suffers from simple inefficiencies caused by antiquated human-to-human communication. While HIPAA-compliant infrastructures drive state-of-the-art patient care, faxed paperwork and phone-based dialogues still drive many of the interactions between departments and organizations. This is where blockchain comes into potential to solve prior authorization approvals. As a result, vital pre-authorization approvals for medical procedures or life and death collaboration between different practitioners can take too long and live outside the transformative EHR systems that drive the industry. Can Medscient Cure Prior Authorization Approval Process? A Florida-based company is trying to change all of that by leveraging the growing popularity of distributed ledger technologies (i.e. blockchain) to bring increased speed, faster data integration, and more robust stability to the peer-to-peer communication channels that drive today’s healthcare industry. Medscient LLC produces a HIPAA-compliant, healthcare-only blockchain framework designed to streamline human or machine interface issues for life and health insurers. The key to the technology is that it provides both insurers and care providers with a common data set of patient information on a distributed ledger, where it can be securely shared by all parties, explained Vince Albanese, CEO of Medscient. The data is used to create smart contracts, which become the rules used to automatically make pre-authorization decisions. Medscient is currently working with Medical Society of Delaware (MSD), the Delaware Health Information Network (DHIN), Global Delaware and the state’s health insurers to integrate agnostically with leading blockchain frameworks like MultiChain, Hyperledger and Symbiont.io to create greater transparency, trust, and accountability between typically untrusting parties. Together with the Medical Society of Delaware (MSD), Medscient has presented a Proof of Concept (POC) for their solution at the Medicaid Enterprise Systems Conference in Baltimore. This POC illustrates how the company actively mitigates the cost, risk, aggravation and safety issues related to steps and execution of prior authorization, reducing delays by days and showed the potential opportunity to decrease overall costs between insurers and healthcare providers to the tune of $20 billion each year. Prior authorization is used in the industry to obtain additional patient information from the healthcare provider, the prescriber of a procedure, service or medication. The aim of the process is to ensure eligibility of the patient, assess the benefit coverage, medical necessity, location and the appropriate use of the services. “Essentially, we are negotiating the ‘metrics of trust’ between the parties,” Albanese explains. “We are coding agreed-upon rules of pre-authorization in smart contracts that will, in turn, execute decisions that all parties can agree are appropriate and correct.” The solution will provide automated prior authorization decisions more quickly, consistently and objectively, he noted. Medscient is impacting information gathering where it is currently hitting a major snag. Communication between repositories of patient data (PHI) are frequently paper-based and their system incongruent with each other in terms of content. Data resides in a vast, elaborate network of disparate EHR databases located on a myriad of corporate servers behind a multitude of firewalls. The lack of trust across the system prevents the different participating companies from creating a seamless connection between systems, or from using centralized cloud-based storage of PHI that would allow authorized and trusted stakeholders from access needed information from common repositories. Distributed ledger technology provides a perfect peer-to-peer solution to address these problems, but to date, proprietary blockchains and a lack of perceived security in the Wild West cryptocurrency marketplace have cast a negative shadow on the power of these agile technologies. 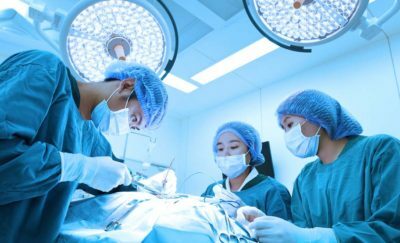 While the healthcare industry has, and is, aggressively pursuing practical applications for blockchain technologies, with the growing hype and perceived risks associated with blockchain reliant cryptocurrencies like Bitcoin, Ethereum, and Verge; as well as the nearly weekly ICO’s from overly aggressive upstarts, the adoption has been slow, meticulous and heavily scrutinized. 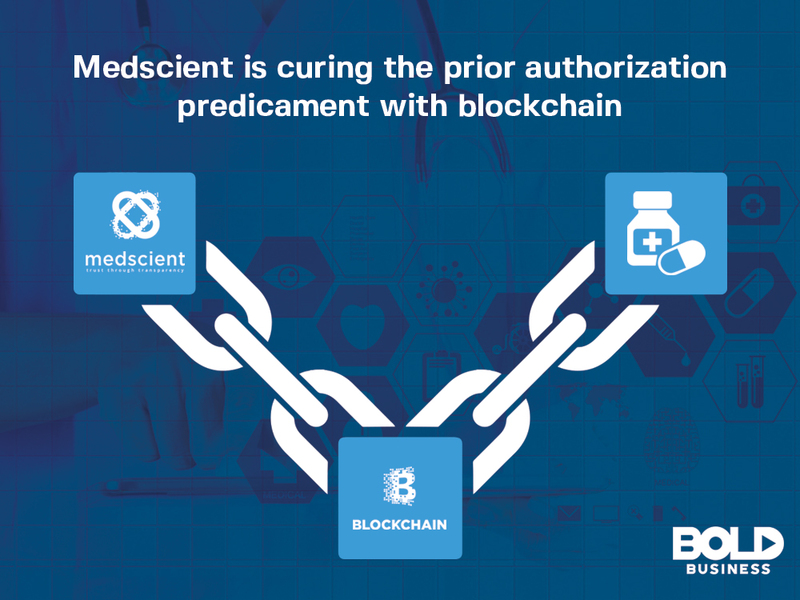 Medscient focuses on utilizing the blockchain only for “trust indicators” or data elements specifically designed to enable commerce between typically untrusting parties. Valuable or protected source data remains where it is with the blockchain holding pointers, scores or indicators. Medscient’s system hosts no private data external from its stakeholders. In addition, Medscient supports the Institute for Healthcare Improvement’s (IHI) Triple Aim Measures. This ensures that the use of blockchain will not equate to reduced security or instability. The application of blockchain in targeted population health, patient experience, and cost-related opportunities is the very best place to help healthcare providers, insurers and their members. By providing an agnostic framework that works on any blockchain, Medscient is able to provide secure and seamless integration with the many disparate systems and proprietary databases that currently make up the healthcare marketplace. Medscient ties together the healthcare ecosystem by leveraging open standards and not choosing one blockchain technology over another but instead focusing on the commonalities that each offers the industry. In a $3.4 trillion healthcare industry, with an estimated $190 billion in administrative waste, even a very modest reduction in wasted time and resources can result in billions of dollars in savings. More importantly, such a system in the future could lay the groundwork for faster access to healthcare records across a wide range of sources, hospital networks, pharmaceutical companies, clinics, and a wide variety of health care providers. As a result, patients win with lower prices and a more secure way to protect their PHI. 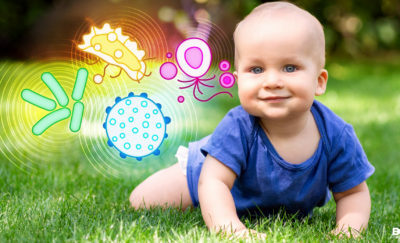 This is a Bold Idea that has the potential to make a broad impact on the healthcare industry.